I lived on a sailboat and cruised up and down the eastern seaboard for two years. Just as there is with any lifestyle, there are niches within that lifestyle. The circumnavigators go around the world, traveling for weeks across the seas from one continent to another. These folks are serious, and they generally have sold all they own and permanently live on their boat. Then there were people like us who lived aboard and cruised along the shoreline. Live-aboard cruisers don’t usually venture far out to sea, though we may be without sight of land for hours or a day or so on an overnight passage. We usually keep our houses and relationship attachments, live this way for a period of time, and then return to life on shore. This is called “swallowing the anchor”. For liveaboards like is cruising is more of an adventure than a way of live. Then there are the folks who own a sailboat and dock it at a yacht club and sail for a few hours on the weekend. Many of these folks dream of living aboard or circumnavigating but haven’t been able to do so yet. Though there are tiers of sailors with varying levels of commitment and skill, the Sea can be kind or cruel to each one of us. When an emergency happens while sailing on the ocean it’s just as life threatening whether you’re near shore or in the middle of the ocean. My husband and I had sailed from Maine to Florida with a variety of passages that included motoring down the Intracoastal Waterway,sailing across huge Rivers and Sounds, and making some offshore overnight ocean passages. We’d finally arrived at Fort Lauderdale’s Las Olas anchorage, the traditional launching off point to cross the Gulf Stream to the nearby nation of The Bahamas. It’s 50 miles, but a tricky 50 miles. The Gulf Stream is a fast moving river of water atop the ocean. 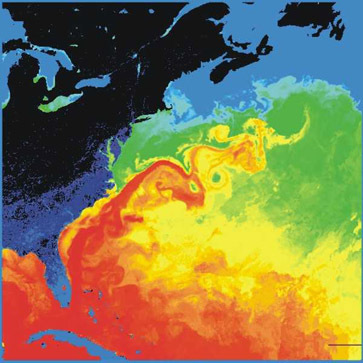 The Gulf Stream is about 60 miles wide and runs at an average surface speed of 5.5 mph. Since the boat can sail at around 5 mph it means that the combined speed plus the Gulf Stream’s fast northward push means you have to make exact navigation maths and be on constant vigilance. You could get pushed to Ireland if you’re not careful. 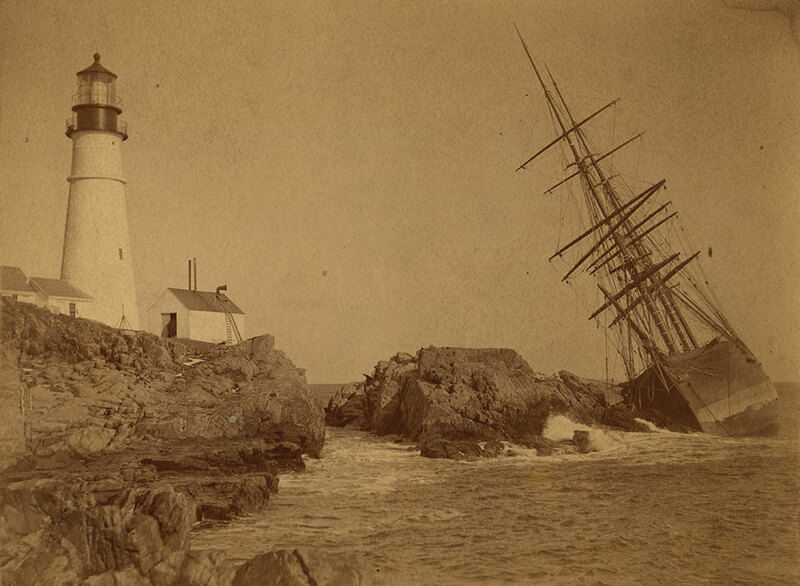 A worse disaster would be pushed a few miles, or even a few feet off course and wind up on the rocks, shipwrecked on the shores of a foreign nation or in hazardous waters. the topmost island left side is town of West End, Grand Bahama Island. So you start off from Ft. Lauderdale and let the Gulf Stream push you north and your sails push you east toward the intended harbor. The biggest danger is a wind that flows from the north tot he south, and meets the Gulf Stream waters moving from the south heading north. The collisions of southerly flowing air and northerly flowing fast water makes for a steep waves. Steep waves are rough because the front part of the boat (the bow) goes up and then down fast. At least with a rolling wave the boat can roll with it. A steep chop makes the boat pound. Pounding is hard on everyone and is hard on the boat. Because crossing over the Gulf Stream is a bit dangerous and not for the fainthearted, mariners usually take off from the anchorage in little groups. Safety in numbers. Not that if anything happens we can go from one boat to another to troubleshoot the problem, but if the worst happens we can rescue a person from the water or call for the Coast Guard for help and stand by. So our little clutch set off in the dark hours, so we would arrive at a time when the rising sun would be over our shoulders and not in our eyes. The weather report was for gentle winds flowing north, which would actually help flatten the Gulf Stream waters. All was well … sailing over the bounding main … for a while. The wind unexpectedly shifted from the south to the north, creating that dreaded sharp, steep chop. The boats took a pounding. Then the rain and thunder and lighting started. It was dark and it was rough.Then…one of the boats’ rudders broke. I think you know how important a rudder is. It is a tiny thing, relatively speaking, a small part of the boat. Not heavy like the motor, not showy like the sails. However it’s the most critical part, since it steers the boat. Without the rudder, our friend’s yacht was drifting helplessly in the storm, in the Gulf Stream, toward the reefs. 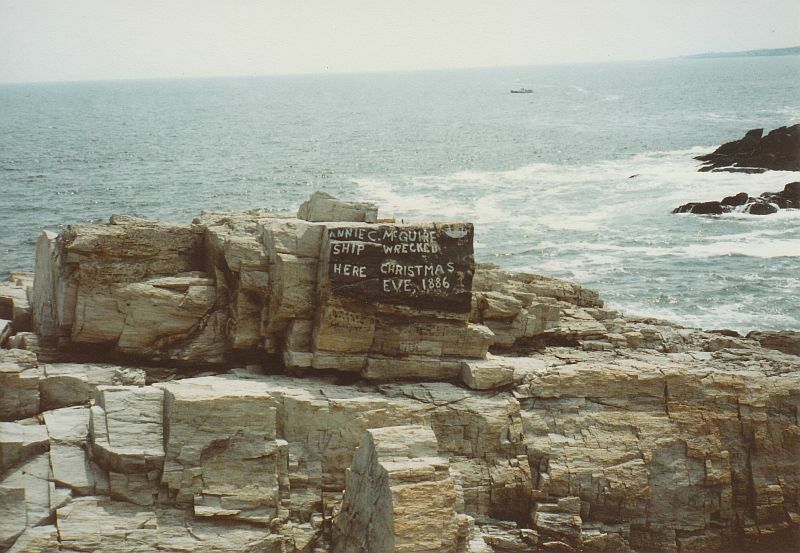 They were at the mercy of waves, rocks, and winds. They had no control and it was terrifying. A small rudder can guide the whole boat. A small muscle like the tongue can guide the whole body. With the rudder not guiding the boat, it was at the mercy of other more destructive things than the pilot’s inclination. Just like the tongue. The ‘pilot’ must be in control of the tongue so it does not become subjugated to other, more destructive things like slander, gossip, tale-bearing, and criticism. These are the rocks and reefs of relationships, as Jude describes in Jude 1:12-13, using the same sailing metaphors of waves, reefs, and winds. I was busy handling our boat and my husband was on the VHF radio in contact with the stricken vessel. We all had slowed down and were kind of trying to circle around them and stay close. It was hard to do so in the storm. Eventually the other men talked him through and somehow he got his rudder fixed. We were off course by then so we had to regroup and figure out how to get back on track. The winds were still high and we were in the hump of the Gulf Stream, the current was flowing fast. Entering West End Grand Bahama was a tricky maneuver of sliding between reefs through a narrow channel. We were off by a few feet. However you can see the destruction ready for the unwary in the Annie C. Maguire vintage photo above. They were only off by a few feet also. Providentially, there was a Good Samaritan who happened to be carrying a VHF radio who happened to be walking the beach who guided us in. If he had not been there we would have ended up on the rocks. It’s another example of how the Lord protected me until the appointed time for salvation, 13 years later. I’ll never forget the terror of our friends losing their rudder. Even though the James verse about taming the tongue by using marine metaphors is vividly alive for me, I still failed in this last week. I’ve repented. After listening to a lecture by Justin Peters on the importance of wholesome talk and the destructive inclinations of the tongue by gossip I will do better this week. I do not want to end up on the rocks for correction. I am the pilot. I am in charge of my boat. With the Holy Spirit to guide me safely to port, I know I have all the help I need. The dark blob in the foreground is a coral head. Their sharpness can rip the keel or underside of your boat like a razor. The boat with two men on it is grounded. The water gets shallow very fast in The Bahamas. In the middle horizon, those brown humps are the land, which is just a few feet above sea level. Now picture trying to find the right channel, in the dark, in a storm, on 0 sleep in the last 24 hours. well you are braver than me 🙂 I am actually afraid of the ocean anyway (though I live around the sea) so boats are not for me. It is true that once I got sick I lid down on the boat. Maybe that made it worse. I was sick the entire next day. One of my petitions I ask our heavenly Father is to “guard my heart and my tongue that there be evidence I am yielding to the Holy Spirit”. Praise Adonai for His grace and His mercy. Hallelujah!